Folorunsho Alakija is a Nigerian businesswoman who has replaced Isabel dos Santos as the richest African woman, and also is the richest woman of African descent in the world. She is a business tycoon involved in the fashion, oil and printing industries. She is the group managing director of The Rose of Sharon Group which consists of The Rose of Sharon Prints & Promotions Limited and Digital Reality Prints Limited and the executive vice-chairman of Famfa Oil Limited. 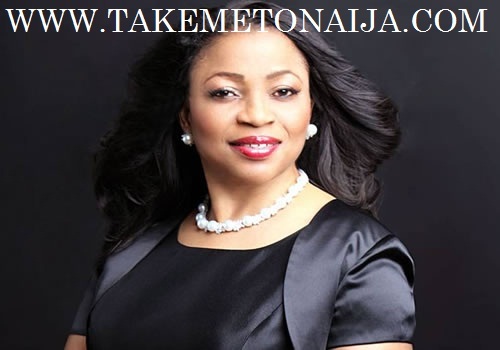 Folorunsho Alakija was born on July 15 1951 in Ikorodu, Lagos State. She originates from a large family: her dad, Chief L. A. Ogbara, had 8 wives and 52 children in his lifetime. She was the second surviving child, her mom was the first wife. She and her younger sister were sent to school abroad when she was 7 years old. They went to a school in Wales, a private school for girls in Northern Wales, and they were the only coloured (black) girls in the school. And because their fellow mates couldn’t pronounce their names, they coined them names – Flo for Folorunsho and Doyle for Doyin. They were in the school for 4 years, and at age 11 she and Doyle moved back to Nigeria at the request of their parents who didn’t want them to lose their African values, culture and tradition. In 1976, Folorunsho Alakija got married to her loving husband. The couple have 4 kids, all boys. All of them schooled abroad and are all engaged one way or the other in the family business. Folorunsho’s mom used to be a fabric merchant and she used to help out, and through that she learnt a lot. After leaving the corporate world in 1984, she went to the UK to study fashion designing. A year after her training, she came back to Nigeria and started her fashion house – Supreme Stitches at a 3-Bedroom apartment in Surulere, Lagos. A year after establishing the company, she emerged as the best designer in the country in 1986. Read ALSO: HEADIES 2016 NEXT RATED NOMINEES. CHECKOUT AND VOTE!!! Folorunsho started her career in 1974 as an executive secretary at Sijuade Enterprises, Lagos, Nigeria. She moved on to the former First National Bank of Chicago, now FinBank now acquired by FCMB (First City Monument Bank) where she worked for some years before establishing a tailoring company called Supreme Stitches. It rose to prominence and fame within a few years, and as Rose of Sharon House of Fashion, became a household name. As national president and lifelong trustee of the Fashion Designers Association of Nigeria (FADAN), she left an indelible mark, promoting Nigerian culture through fashion and style. In May 1993, Folorunsho applied for the allocation of an oil prospecting license (OPL). The license to explore for oil on a 617,000-acre block—now referred to as OPL 216—was granted to Alakija’s company, Famfa Limited. The block is located approximately 220 miles south east of Lagos and 70 miles offshore of Nigeria in the Agbami Field of the central Niger Delta. In September 1996, she entered into a joint venture agreement with Star Deep Water Petroleum Limited (a wholly owned subsidiary of Texaco) and appointed the company as a technical adviser for the exploration of the license, transferring 40 percent of her 100 percent stake to Star Deep. Subsequently, Star Deep sold off 8 percent of its stake in OPL 216 to Petrobras, a Brazilian company. Folorunsho has a foundation called the Rose of Sharon Foundation that helps widows and orphans by empowering them through scholarships and business grants. Folorunsho married a lawyer, Modupe Alakija in November 1976. They reside in Lagos, Nigeria with their four sons and grandchildren. Her nephew is the British-Nigerian, DJ Xclusive. Folorunsho also has a jet, a jet she bought few years ago.